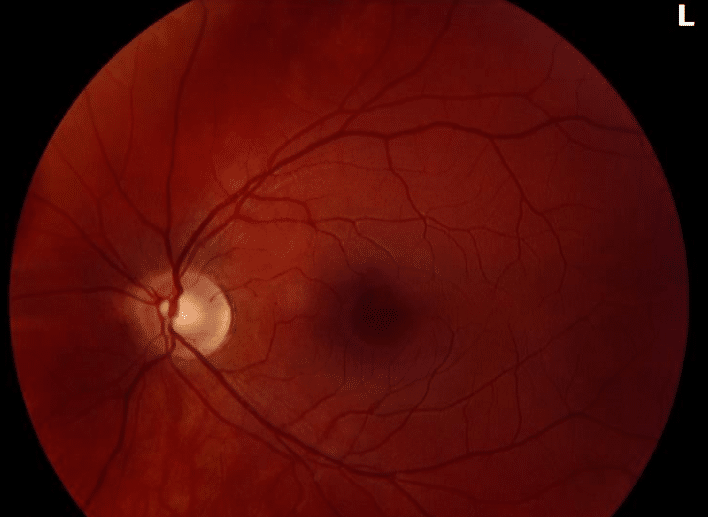 HPI: Patient is a 27 year old woman who was sent for asymptomatic abnormal retina appearance. PMH:Past medical history was negative. Past ocular history was significant for mild myopia in both eyes. Specifically, she denied any history of trauma to the eyes or any condition needing eye drops. Visual acuity was 20/20 in both eyes. IOP and pupils were normal in both eyes. 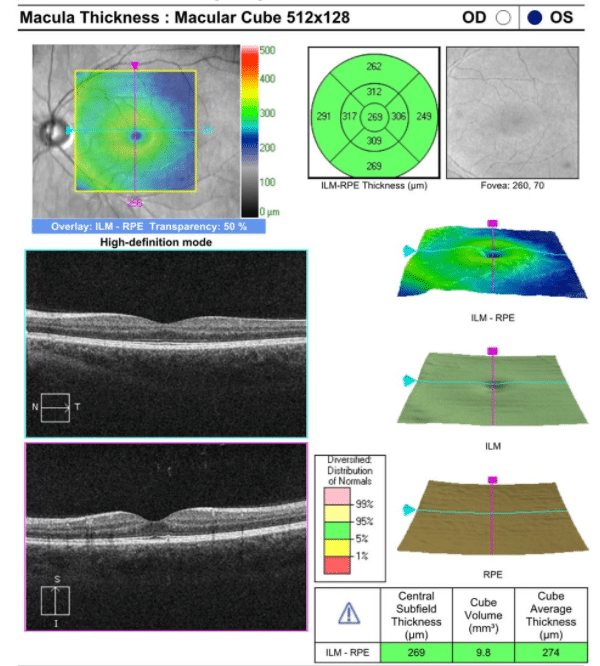 The only abnormality is seen in the right macula as shown in the photographs below. Torpedo maculopathy describes a congenital abnormal appearance in the macula of one eye. 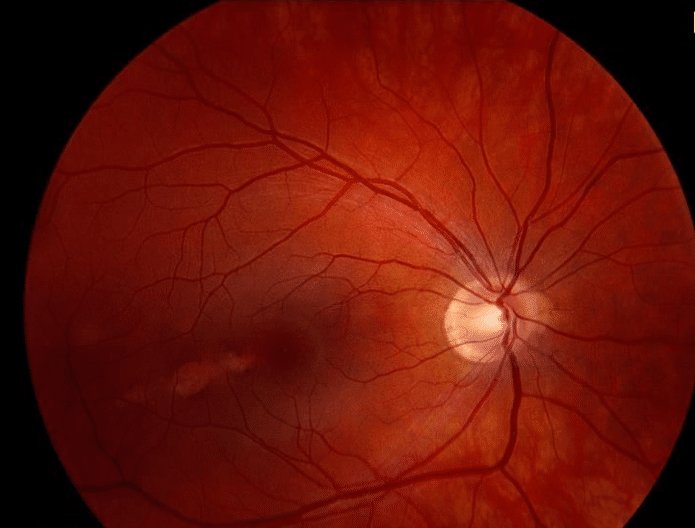 It is an void hypopigmented area in the temporal macula along the horizontal raphae. These lesions are non-progressive and asymptomatic. They are believed to be related to the fetal bulge of the eye presented in the 4th to 6th months of gestation. They are not associated with other developmental anomalies of the eye or the rest of the body. 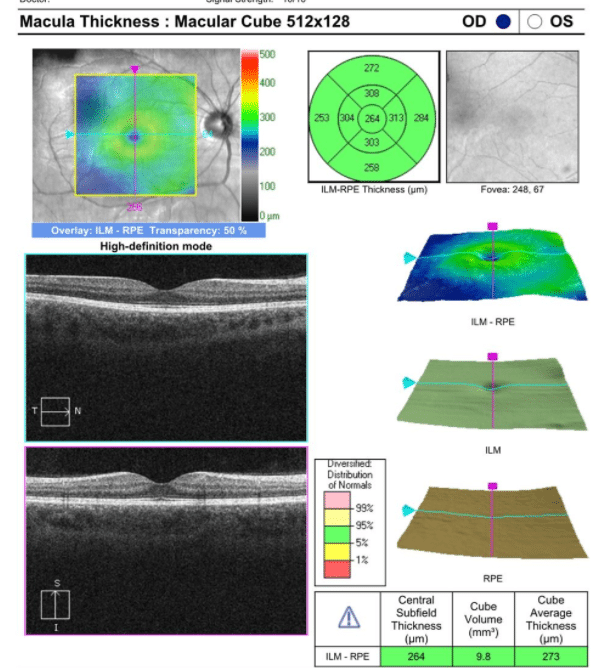 The lesions associated with torpedo maculopathy can be associated with OCT changes and hyperautoflourescense but do not require an extensive workup for diagnosis. These patients do not need monitoring beyond that required by dictated by their age, systemic health and other eye conditions.